The following is a listing of available RCM flow meter options which include limit switches, transmitters, digital indication and more. This option includes a brass free construction throughout, EPR seals, a stainless steel gear movement and gasketed case. Price includes calibration to specific gravity, pressure and temperature compensation. This option is available for model 73 ONLY. 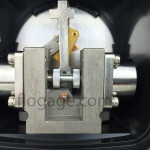 This option provides a special meter case for mounting on panels. This option is available on 1-1/2″ and smaller meters only. 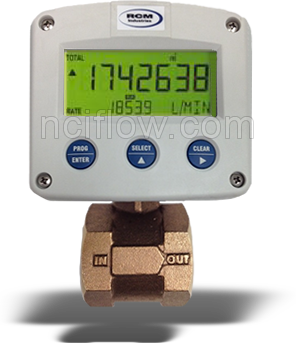 Digital display flow meter 2 wire loop powered 4-20mA DC transmitter features 7 digits for flow rate and 11 digits for accumulated total. On-screen engineering units are easily configured, while different units for flow rate and total can be displayed simultaneously. A wide selection of options further enhances this models capability. Optional backlighting is available for easy viewing and intrinsic safe approval for hazardous locations. Adapters and 3-way equalizing valve (Bronze) provide extended temperature ranges or remote mount for more convenient viewing. Adapters and 3-way equalizing valve (316SS) provide extended temperature ranges or remote mount for more convenient viewing. Liquids having high viscosities cause flow meters to read high; however, this effect is slight for liquids having viscosities less than 5 centipoises. Heavy lubricating and fuel oils with viscosities up to 500 cps require special sizing of the flow meter orifice. 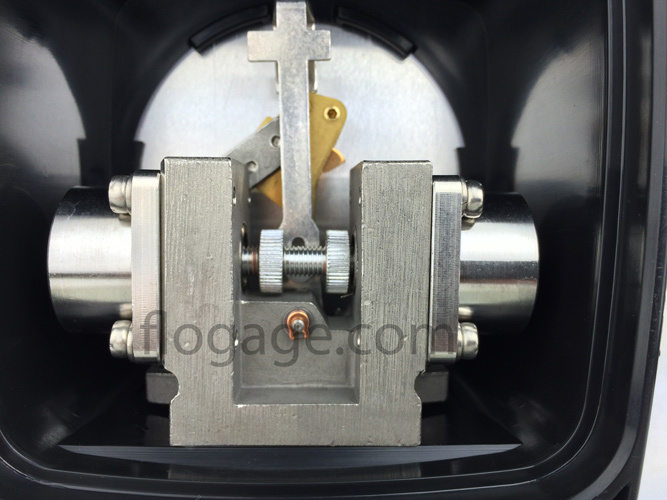 Flo Gages are not recommended for metering of fluids with viscosities greater than 500 centipoises. Consult with us for specific recommendations. 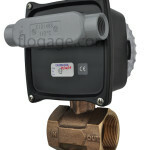 Standard meters are equipped with bellows which have a service rating of 180 psig maximum. High strength bellows made of Inconel 718 are available with service ratings to 400 psig and may be used where service conditions permit use of stainless steel. A slight increase in pressure drop across the meter results when these bellows are used. International Nickel Co.
Option W: Transmitter 4-20mA dc 4 Wire Transmitter with Linear Output. Option W2: Transmitter 4 -20 mA dc 2 Wire Transmitter . Meters intended for compressed gas service require individual sizing of meter orifices to suit the desired flow rate, gas composition, line pressure and temperature. In addition, dials are marked with type of gas, specific gravity, line pressure and temperature as part of this option. *Electromagnetic Compatability (EMC) is only available with option W in an aluminum housing (Option F or F2). Cleaned for Oxygen Service: Cleaning for oxygen service; cleaned in accordance with ASTM G93-96; Inspected per 11.4.1.2, packaged and bagged in polyethylene bags per 12.1.3. DR-1 Remote digital readout of rate and total in NEMA-4X enclosure. Requires option W, W2 or W3 or RW3. PS-24 Power supply 24 V dc, 100 mA for transmitter options W, W2, W3, X, Y, Z, RW3. Fittings for connecting remote readout option R2 and R3. 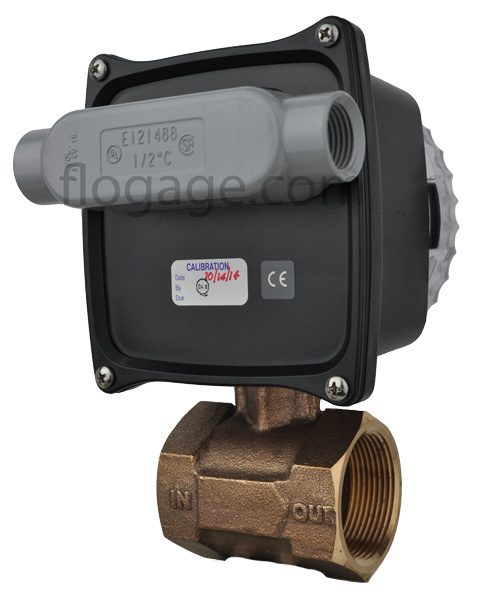 Includes 2 -1/4” shutoff valves and selection of compression fittings. Standard: Meters with non-standard flow rates are calibrated with water at a flow rate calculated to provide the proper differential pressure. These meters are tested at full scale and 50% scale to verify proper operation and accuracy. 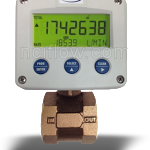 Certificates of calibration for non-standard flowrates are available upon request at no charge. Optional: Test standard flow rate meters at full scale and 50% to verify proper operation and accuracy. Includes certificate of calibration. Must be ordered with meter. Special: NIST traceable 5 point flow calibration certificate and error curve. Water test media only, 4 GPM to 200 GPM full scale. Calibration at time of production. ISO 17025 Certified.